YOUCEE stands for European YOUth Conference commEmoration across bordErs and is an international youth conference in commemoration of the second World War and in particular the Battle of Arnhem (1944). YOUCEE invites students between 16 and 19 years of age, originating from 4 European countries, Great Britain, Germany, Poland and the Netherlands. A programme is offered which starts on Tuesday September 17th and ends after the commemoration on the Airborne cemetery in Oosterbeek on Sunday September 22th . YOUCEE invites students from several European countries to the Netherlands to reflect on and discuss topics like war, peace, justice and international cooperation. 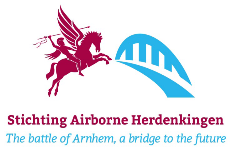 The Battle of Arnhem is the starting point and the focus will be on the interaction between students as they learn about the achievements of Europe since 1944. What is life like in Europe in 2019, how do we perceive ourselves within the European borders and institutions of the modern day, what lessons have we learned from the Second World War and how do we apply them to life today? This international youth platform provides an opportunity for expressing personal ideas, opinions, and views in a multicultural setting and a relaxed atmosphere. The highlight will be the Arnhem Model United Nations conference on the 20th of September and the contributions towards, and attendance at the commemoration ceremonies on 20th, 21th and 22th of September. We hope you will be able to learn from the past through the conference and use this awareness for the future. The YOUCEE conference took place from the 16th until the 21st of September 2014. (the Netherlands) during the 70th commemoration of Operation Market Garden to commemorate and debate in the ARMUN conference: Arnhem Model United Nations. The conference teaches young delegates the procedures of the real United Nations and the values needed to understand the world. Check our Facebook and Twitter for updates!